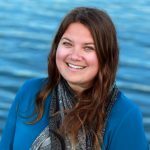 Rachel Kippen is a coastal environmental advocate and artist with a background in public program development and nonprofit management in Santa Cruz, CA. 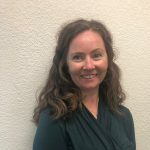 She joins O’Neill Sea Odyssey with a local understanding of environmental education priorities and stormwater program design based on her experience as Director of Programs at Save Our Shores and recently through her tenure coordinating environmental initiatives at the City of Watsonville. She holds a Bachelor’s degree in Environmental Studies from University of Redlands and a Certificate in Strategic Leadership and Nonprofit Management from San Francisco State University, and focused her graduate research in environmental justice education through place and arts-based curriculum development in primarily agricultural and immigrant communities. Of mixed cultural heritage including Hawaiian, Rachel endeavors to create inclusive educational opportunities for youth that incorporate diverse perspectives and are representative of the dynamic community she serves. In her free time, Rachel enjoys creating artwork from plastic pollution and spending time on the water with friends and loved ones. Tim O’Neill has been a surfer and sailor for most of his life, learning to surf and sail at age five. Tim graduated from Soquel High School, and worked at the O’Neill surf shop both during and after his years at Soquel High. Tim started running the Team O’Neill catamaran when it was launched in 1983. He received his 100 ton skipper’s license in 1992. Tim also serves as President of Team O’Neill and is in charge of the O’Neill fleet. He lives in Santa Cruz with his wife Lisa O’Neill, and his sons Riley and Connor and daughter Bridget. Born and raised in Fresno, California, Mike’s family had a summer home in Santa Cruz. He has lived in the Central Coast area since 1982. Mike attended Bullard High in Fresno, and Orange Coast College near Newport Beach, California, where he raced sailboats. Mike Egan worked for O’Neill Yacht Center for five years, and has extensive experience in the Yacht business. Egan holds a 100 ton master’s skipper’s license. He is married to wife Jill and has two children: Ashley and Zachary. Laura grew up in Santa Barbara where she became interested in the marine environment through diving, sailing, and exploring tidepools. Having been raised in a seagoing family, Laura has worked in harbors for most of her professional life. While attending San Francisco State University she supported herself with various maritime jobs such as sailmaking, spinnaker repair and hosting events for the San Francisco Maritime Museum Association on Hyde Street Pier. After graduating with a degree in Humanities from SFSU, Laura’s fondness for travel led her to Alaska and Canada where she worked as a wilderness guide and as a naturalist for a charter boat on Prince William Sound. Laura joined the OSO crew in 1999. In her spare time she enjoys dance, yoga, music and hiking in the Santa Cruz mountains. Patrice Riley joined the O’Neill Sea Odyssey in 2018 as an accountant, following working for nearly six years as Executive Assistant to Jack O’Neill. Originally from Massachusetts, she has lived in Santa Cruz County since 2006. Patrice earned a bachelor’s degree in English Literature from Mary Washington College in Fredericksburg, VA and an accounting certificate from UCSC Silicon Valley Extension. She has long felt connected to the ocean and its healing potential, and spends as much time as she can by the water. 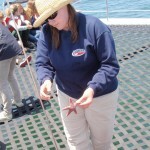 She loves that working at OSO gives her the opportunity to help the next generation fall in love with the ocean and realize our shared obligation to care for it. Nikki Brooks grew up in Santa Cruz where her affinity for the ocean environment began at an early age. She graduated from UC San Diego in 2000 with a BS in Biology and a Minor in Photography. Nikki enjoys spending time with her family, surfing, and photographing surfers in Santa Cruz and abroad. She is honored to have been a part of the O’Neill Sea Odyssey crew for 10 years. Melissa was born and raised in southern California. Her love for the ocean and conservation started at a young age. She graduated from CSUMB in 2014 with a degree in Environmental Science with a concentration in applied ecology. 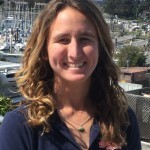 She has worked on a variety of native plant restorations projects throughout Monterey county and has also taught surf lessons and manage a yacht maintenance business. 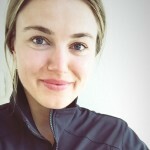 She believes connecting the youth with the outdoors and science will lay the foundation for a happy and sustainable society. She loves being part of the OSO team and looks forward to sharing her knowledge and passion with every student. Joey was born and raised in central California. He holds a B.S. in Kinesiology from CSUMB with a subdiscipline in outdoor recreation, education and administration. He is an ACA certified level 4 coastal kayaking skills instructor and has over a decade of professional water experience. His connection to the sea was cultivated at a young age, inspiring Joey to pursue a life as involved with the ocean as possible. 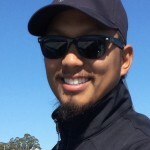 His infatuation with the sea has led him to strive to introduce and educate the general public about the wonders that have molded his personal connection with our mother ocean. Joey currently resides in Moss Landing on his sailboat with his dogfriend Merle and is excited to be a part of the O’Neill Sea Odyssey. TK grew up here in beautiful Santa Cruz and attended UCSC where he received a B.A. in Environmental Studies. Due to his affinity towards working with the youth and teaching, he has served as a counselor and leader for kids in camp settings for a number of years, as well as being a surf instructor for two years. His passions are being outdoors, surfing, rock climbing, playing music, and eating burritos. Aboard the Sea Odyssey, TK utilizes his love for working with kids and teaching in order to spread awareness of protecting our ocean and environment. Marina is a native of Boulder Creek, where she learned to appreciate and protect the natural environment. 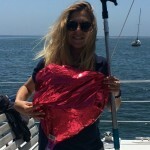 Marina graduated with a Bachelors of Science Degree in Marine Biology from UCSC in 2011. Marina loves educating people of all ages about the ocean and how we impact it. There are so many amazing and important creatures that live in the Monterey Bay, it makes it easy to show people how important this resource is to our communities. She hopes that her passion for protecting the ocean will inspire our young generation to do the same as they navigate through their life path. She enjoys painting, music, hiking and spending time at the beach. Kaila Pearson was born and raised in Santa Cruz Where her love for the ocean was destined. Kaila grew up in the water; surfing, swimming, paddling and diving with her dad. Kaila also remember frequent trips to the Monterey Bay Aquarium with her mom, and being mesmerized by the fish. The ocean is Kaila’s biggest inspiration for her art, hobbies and career. Kaila went to Natural Bridges Elementary where she participate in the OSO program. She remembers crawling on the black netting with the ocean water flowing underneath and she also remembers learning about plankton. Kaila attended UCSD (Scripps) and received her BS in marine biology and feels happy to be able to share her excitement with young minds.